Ancient Suea Yant Kong Grapan Chadtri Ancient Talismanic Magical Shirt of Protection with sacred Geometry Spells, from Luang Por Plien of Wat Dtai in Kanjanaburi. This Sacred yantra Shirt is well over a century old. Of course a Yantra Shirt of this age shows wear and tear from the passage of time and almost certainly has been worn by devotee in dangerous situations. The Yantra shirt shows faded areas where the red dye has faded over time, revealing its great age and ultra rarity. It would be true to say that apart from being an extremely powerful magical artifact of ancient times, it is also a very rare artifact that could be displayed in any private or public museum collection. we suspect however that most people would be most likely to wear it for its immensely powerful magic power, despite the fact that it would be quite at home framed in a museum showcase as a valuable historical artefact that is well over a century old. 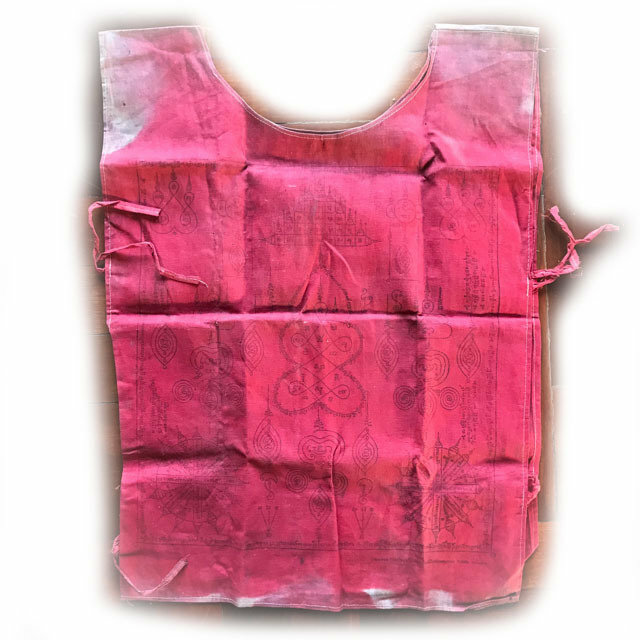 This is an extremely rare and sought after ultra collectible magical yantra shirt of Master Class level in the Thai Amulet Collector scene, and is almost never to be found anywhere in the present day. The Suea yant was already an immensely rare item in the times when Luang Por Plien was still living, and is unlikely to see an item like this more than once in one's lifetime. One can consider it almost impossible to obtain such a rare and desirable item, which stands in the highest esteem, and is only usually found (if at all), in the personal museums of the Top Collectors, if at all. Released way way back in the pre 2450 BE Era, this Ancient Yantra Shirt is a Wicha of Kong Grapan Chadtri Invincibility and Klaew Klaad Evasive Protection is effective as a protective spell against all forms of black magic, sorcery, evil eye, demons and physical dangers, which derive from weapons of war, sharp and blunt instruments. Klaew Klaad Evasive Magic is also inflected to prevent any deadly accidents or disasters from befalling the wearer. Below; Yant Putsoorn 5 Dhyani Buddha yantra with various Sacred na and Yant Dto surrounding it. Klaew Klaad Evasive Magic is also inflected to prevent any deadly accidents or disasters from befalling the wearer. Theyantra Shirt offers Protection against Black Magic, and all forms of Sorcery, Curses, Evil Eye, Demons. Protection and Evasion from all Physical Dangers, all sharp and projectile weapons, and especially death by weapon attacks, deadly accidents on travels, and protection in battle. is a very ancient form of Magical Sorcery, from very long before the Siamese Kingdom existed and was used by Wally is in ancient times throughout the Southeast Asian continent, and particularly later, during the times of war between the Kingdoms of the Khmer and Siam. This magic spell was worn into battle by warriors of olden days, and a favourite method of protection for gangsters and gunmen, police, bodyguards and military officers. The Suea Yant is emblazoned with a host of Sacred Geometry Yantra spells and incantations, with Maha Ud, Kong Grapan Chadtri and Klaew Klaad Powers, as well as Maha Amnaj commanding power and status invoking Magic, with Serm Yos for Increasing Status and Professional Promotion. Extremely recommended item for members of the military, due to the fact, that it can be worn concealed under one's uniform, and does not break any rules of uniformed dress, being invisible to the eyes of the public when worn underneath one's outer clothing or uniform. Very few guru masters possess the Wicha for making warrior Yantra shirts these days, or its methods of making in the present day. 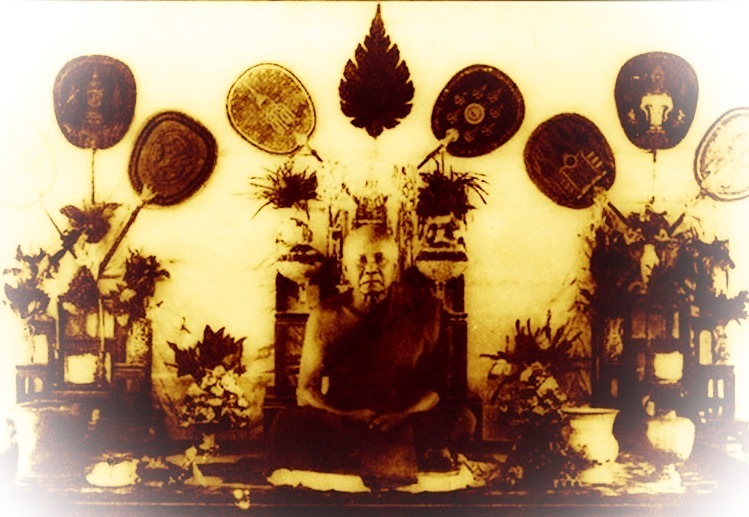 Luang Por Plien is one of the Olden Days Masters who is famous for his Mastery in the making of Hwaen Pirod Magic Fire Ring of Power and Protection, and other Kong Grapan Chadtri and Klaew Klaad Amulets and Talismanic Charms. Ths Wicha as old as that all of Sak Yant sacred geometry tattoos, which also dates centuries back into the far-flung history of South East Asian occultism. Luang Por Plien, or 'Tan Jao Khun Pra Wisutti Rangsri' was the Bishop of Kanjanaburi Province, and has an exemplary and impressive trajectory as a Buddhist Monk of Purity and Magic Power who holds a high position in the Annals History in Thai Buddhism as well as the Legend of Thai Amulets, and his now extremely rare and sought after ancient amulets are to be seen in the Encyclopedias and Showcases of only the High End Collector Niche. His 'Krueang Rang' Occult Talismans and Charms are amongs hs most highly sought after amulets, not just because of their collector status, but also because of the powerful magic they are reputed to possess. 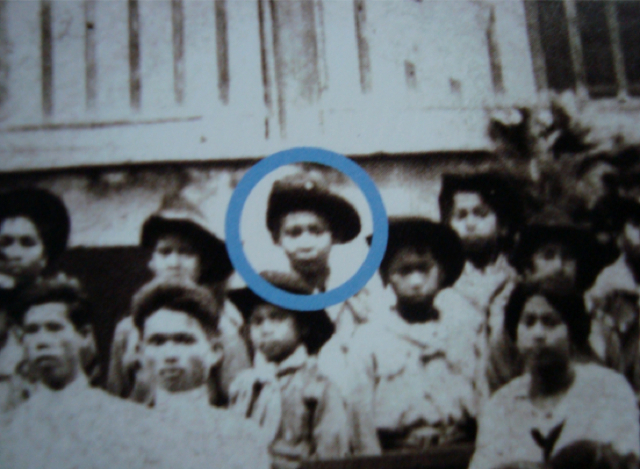 Above; A picture of a boy in a school visit made by Luang Por Plien, which if you look carefully and study, will reveal itself to be the face of a well known and now deceased Royal High Monk; The Sangkaracha Somdej Prayan Sangworn(!!! ), who himself passed away in 2557 at the age of 100 years Old. This picture was taken by Luang Por Plien himself as a memento of the visit he made, which shows just how much of an Olden days Master Luang Por Was. Below, this portion of this extremely ancient Yantra Shirt has faded being the portion which is most often in contact with the skin, which bore the image of Luang Por Plien, now hardly visible due to fading from exposure to the light. and its great age. When Luang Por Plien was a young man, before he found his way in the Buddha Sasana as a Monk of Purity, he was indeed a 'Nak Leng' (Feared Gunman and Mafioso), who was feared because of his Wicha Kong Grapan Sorcery which he had learned and Masters under the apprenticeship of his Kroo Ba Ajarn, a Great Sorceror of the Kanjanaburi Province. But then, he found the Dhamma, and decided to renounce his Criminal ways, and devote his life to the purity of the Sangha and follow the footsteps of the Buddha, to clean his previous deeds and renounce the life of a Pistolero. He never looked back, and remained a practicing Monk of Purity until the end of his days. The only thing that he took with him was his knowledge and ability to make powerful Kong Grapan Chadtri Gunstopper and Klaew Klaad Amulets and Magic Spells, which he used then instead of for protecting himself, to help and protect the devotees of his temple. 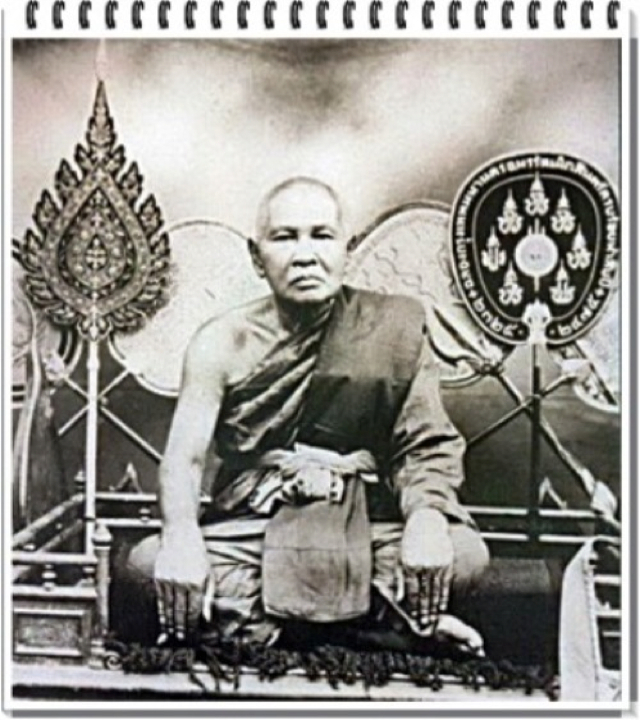 Luang Por developed his Sorcery since a very young age and intensified its power indirectly through developing in Advanced Vipassana (which is not a practice that focuses on Sorcery, but which coincidentally assists in developing psychic power, through the intensive meditation practices involved). His Magick was called upon by his friends and accomplices during the Democratic Revolution of the 24th of May 2475, and many of his Devotees were also Gangsters and Gunmen, who were mostly not evil doers but who would always give out a heavy lesson to anybody who molested their people in their area. The amulets of Luang Por Plien are so rare and sought after, that they lie within the very high priced range of Pra Niyom amulets of the Master Class level, and are amongst the highest priced amulets in the Thai Amulet scene, ranging from many hundreds to tens of thousands of dollars. It was said by old inhabitants of the area that Luang Por Plien used to like to row a boat to the 'Ban Tham' (village near the foot of the Khao Raed Mountain which has a Holy Cave), and would climb up the Khao Raed mountain which is a famous mountain for the fact it is a place where Lek Lai Kaya Siddhi Elemental Substance is found in the caves. Luang Por would then investigate and search all the caves and magical areas on the mountain, in order to seek and find powerful substances for empowerment in the making of amulets, talismans and charms for his Looksit. One of the substances he would find and take for use for his amulets was of course the famously powerful Lek Lai Kaya Siddhi Elemental Substance for which Khao Raed mountain was, and is still renowned for. Some of the Devotees who wore the Lek Lai and other amulets of Luang Por Plien were indeed a big problem for the local police force, because they seemed to be invincible agains gunshots, the guns either missing their targets, or refusing to fire completely, when trying to shoot and kill the Gangsters. It was such in incredible phenomenon, that the local authorities more or less gave up trying to catch these individuals. The great Khun Pan (Khun Pantagij Rachadej of the nakorn Sri Tammarat Police force), the catcher of gangsters who was so famous for his creation of the Jatukam Ramathep amulet, once wished to catch the famous gangster 'Suea Bang' who was a Looksit of Luang Por Plien, and so he went to the teple of Wat Dtai and tried to convince Luang Por Plien to arrange a meeting, so he could see what he looked like (and later catch him and shoot him dead).Luang Por Plien did not refuse and told him to come back at the appointed time. Meanwhile, he told his devotee Suea Bang to come at the same time on the same day, but that he should dress in purple clothes in silk and behave like a Government official. Below, a video of another famous amulet of Luang Por Plien, the Hwaen Pirod Ring of Power and Protection. On the day, at the appointed time, Khun Pan appeared at the temple, and waited all day. The Gangster Suea Bai appeared with his entourage and was dressed in fine purple robes as Luang Por Plien had ordered, and sat there all day passing offerings to Luang Por and assisting him in his duties. After Suea Bang had left and the sun began to set, Khun Pan got restless and asked Luang Por; "well isn't this Suea Bang going to turn up or what?" Luang Por laughed out loud and said "What do you mean, the devotee who has been at my side who you saw helping me all day was Suea Bang!" Khun Pan Rachadej then slapped his knees in frustration, and could not believe that such a famous Ganster would be so well spoken and mild mannered and polite, and was confounded, but decided he would not rest until he caught him and killed him, for his embarrassment. But he never managed to bring Suea Bang to Justice. This was part of the invisibility power of the Lek Lai which Suea Bang wore which he has recieved from Luang Por Plien.